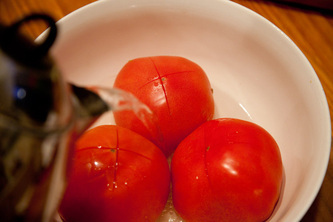 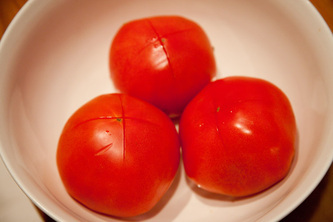 First, gently cut an “X” at the base of tomatoes. 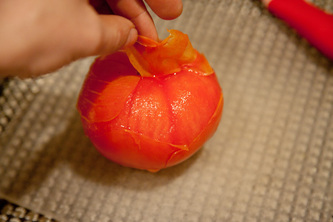 Put the scored pieces in a deep pot then carefully pour boiling hot water over top, enough to cover it. Let them sit for 40 seconds in a hot water. 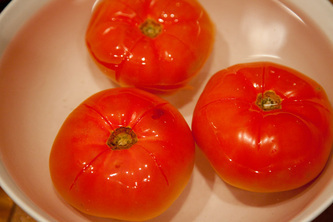 Tomato skin should peel off easily now.